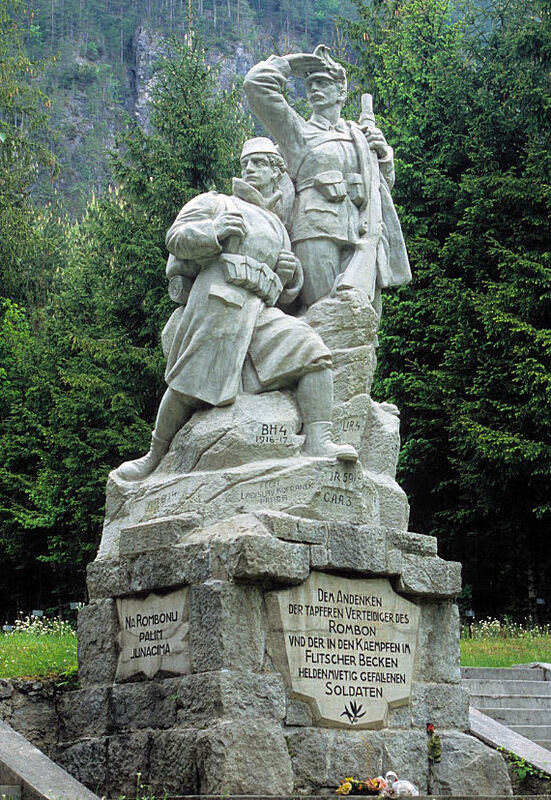 The monument shown above is located in the upper Isonzo River Valley at the foot of Mte Rombon, which—thousands of feet of higher—was a ferocious battlefield from 1915 to October 1917 when the German-Austrian Caporetto Offensive secured the area for the Central Powers. Note that the soldier on the left is wearing a fez. This indicates that he was a Muslim soldier of the 2nd Bosnian regiment. The inclusion of this figure indicates the respect the Zweier Bosniaken, known as "the bravest of the brave," earned during their loyal service during the First World War. 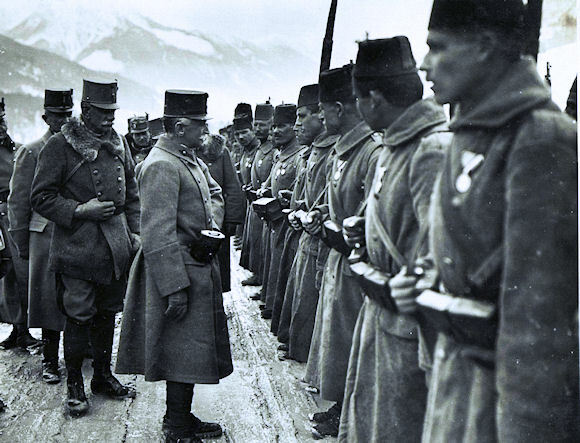 While Bosnian Muslims served on most of the fronts where the K.u.K. 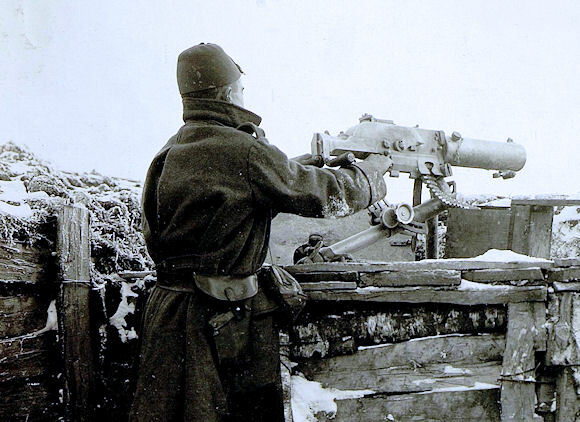 fought, they are most remembered for their operations on the Italian Front. In 1916, they captured Mte. Fior during the assault known as the Strafexpedition (punishment offensive) on the Asiago Plateau. Further north they held Mte. Rombon against countless Italian attack prior to Caporetto, and then led the breakout deep into the Veneto after the October 1917 breakthrough. By war's end, the 2nd Regiment, with 42 Gold Medals for bravery, held the highest number of such distinctions of any regiment in the K.u.K. army. Decorating Soldiers of the 2nd Bosnian Rgt. My grandfather, Alois Erlach, served briefly w the Bosnian infantry, was wounded, and transferred to the air corps as soon as he could, which he considered much safer. His squadron was FLT 12, and he was at the Isonzo front. I have many photos of his experiences while there. George, be sure to read John Biggins’ wonderful historical novels about a KuK pilot and submarine commander. From what I know, they are historically accurate and you’ll have a good idea of what your grandfather went through.